Nin-Nin-Game.com was established in Kyushu in the year 2006 as service for fans all over the world to get access to the latest and greatest products straight from the land of the rising sun! 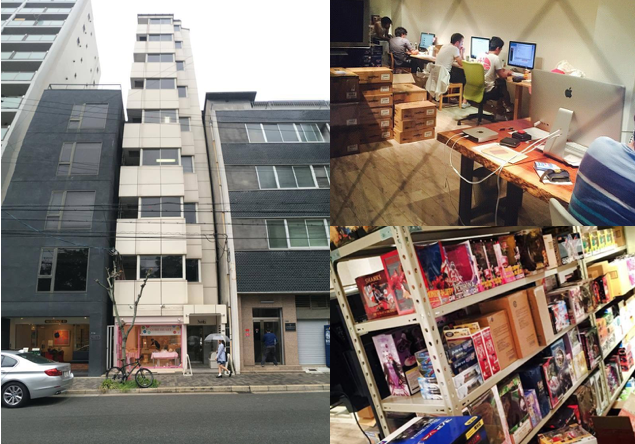 Over the years we have grown exponentially and we are now located in the heart of Osaka, Japan. We service customers from all corners of the world in a timely and professional manner and we pride ourselves in being active members of a thriving community. With solid vendor relationships throughout Japan, we are able to globally deliver and distribute within time and under budget to our wholesale clients and direct end-consumers. With over 10 years of experience in e-commerce, we are pushing ourselves everyday to innovate the import experience in Japan. We are your local source for import video games and toys in Japan. Apart from servicing direct end-consumers, we also service national retailers and independent businesses. We welcome any independent retailers, anime convention based businesses, and national retailers looking to gain visibility with our unique selection of products. Our experienced sales staff can provide product recommendations for both start up and established businesses. We partner with several suppliers and direct manufacturers within Japan to offer the latest products available in the Japanese market. Our dedicated team of product specialists make sure our line-up is curated using in-depth knowledge of not only the Japanese industry, but what is in-demand overseas. Here are a few of the advantages of working with N2G Export, Inc.